If you are a caregiver to someone with diabetes – Type 1 or Type 2 – then you know that one of the biggest challenges is the fact that food seems to have become the enemy to a diabetic. The difference between Type 1 and Type 2 diabetes is that the former requires insulin to manage blood sugar levels. Type 2 diabetes, the more common of the two, can be managed by diet and/or oral medications. Both require a rethinking of food, however. And if you are caregiver to a diabetic, you may find it most challenging to help your loved one with the food side of the equation, but here are three tips that can make this manageable medical condition also a bearable medical condition. 1. Don’t Manage Diet with No’s. Too often it is easy to think of all the foods that a diabetic cannot eat, because they contain sugar. 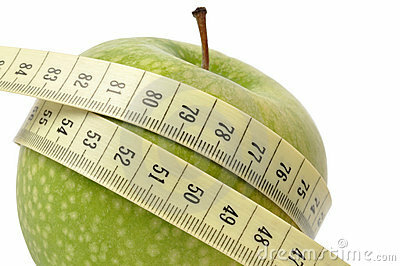 According to professionals who work with diet, they suggest making the whole household’s diet healthier. Rethink how you prepare or coordinate meals for everyone so that you are incorporating more complex carbohydrates, more fruits and vegetables along with protein. You should limit, but you do not need to eliminate, foods like cake. Make them special occasion foods, instead of every meal foods. 2. Portion and Convenience Control. A lot of the excessive intake we all are prone to is because we don’t think about proper portions. We make a bag of microwave popcorn, pour it all in a bowl and head for the TV. Instead, we should take a serving dish of the stuff and stop when done. Snack food tends to be high in sugar and salt, so make your own convenience foods. Package in small containers some baby carrots or unsalted nuts or something else that can take the edge off your loved one’s hunger until meal time. The way to gauge success long term is by monitoring long term A1C. Blood glucose can swing rather widely based on how recently a person has eaten, but the long term blood sugar measured by A1C should stay as far below 6% as possible. And remember that this is a long term measure just as the changes in diet and physical activity should be long term changes for the better. Charlotte Bishop is a Geriatric Care Manager and founder of Creative Case Management, certified professionals who are geriatric advocates, resources, counselors and friends to older adults and their families in metropolitan Chicago. Please email your questions to ccbishop@creativecasemanagement.com.